Don’t let sitting disease compromise your health! Let’s face it, unless you work at a gym, getting fit and healthy at work is probably the last thing on your mind. In fact, 86% of Americans have a desk job which requires them to sit at least 8 to 9 hours each work day. According to the U.S. News & World Report there is “ample medical research to indicate that prolonged sitting increases the risk to cancer, diabetes, obesity, cardiovascular disease, and death.” Learning how to get fit and healthy at work can only be beneficial to you. 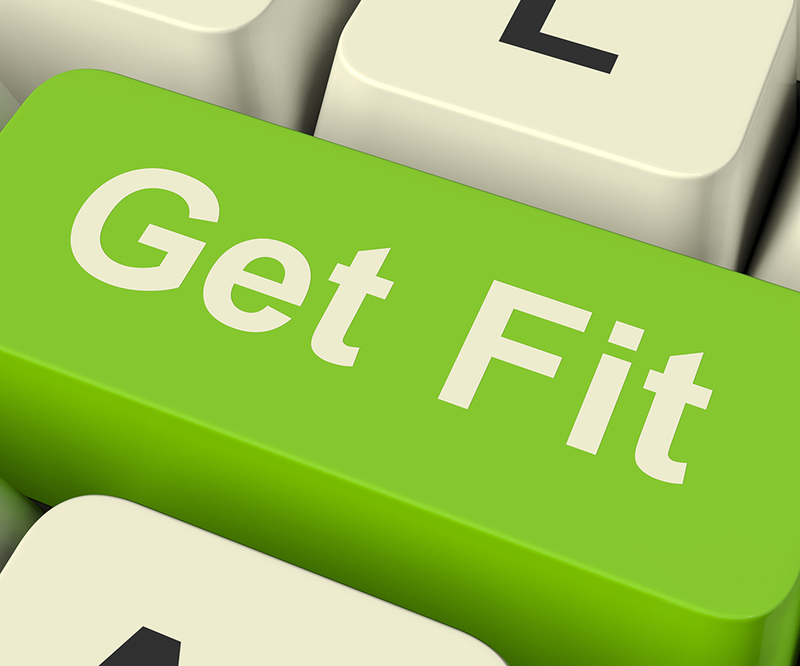 If your workplace hasn’t jumped on the wellness program train, here are some tips on how to get fit and healthy at work. Stand Up – Stand up instead of sitting all day. Standing can actually boost your metabolism, burn more calories, tone muscles, improve posture, and increase your energy. Go For A Walk – Instead of e-mailing or calling the person five cubicles away, make a point of walking over to them and telling them what you need. Try getting your co-workers involved in a lunchtime walk. Challenge some of your co-workers to a pedometer challenge. See who can get the most steps by the end of the work day or week. Bring A Healthy Lunch – It’s not all about movement. Ditch the fast food at lunch time or the sweetened coffee and morning pastries on the way to work. Since you sit during most of the day, it’s beneficial to eat foods that can boost your health. Bring a healthy lunch that contains lean proteins with lots of vegetable and fruits. A well balanced lunch will keep you satisfied and help you stay away from the “healthy” muffins your co-worker brought to work. Portable Pedal Bike – The reality is that you have a desk job. Why not workout while you sit? Invest in a portable pedal bike, and get your cardio in while you type out that proposal. If you’re interested in learning how our programs can get you and your employees fit and healthy, contact Wellworks For You today!